Submission of registration for a Parenting Journey Training event is considered an acceptance of the terms of our Payment and Registration Policy. Please click here to view Parenting Journey Facilitator Training Payment and Registration Policies. A credit equal to 100% of the fee paid will be issued if the notice of cancellation is received in writing ten or more business days prior to the first day of the training session. A 75% credit will be issued if cancellation is received fewer than ten but five or more business days prior to the start of the training session. A 50% credit will be issued if notice of cancelation is received fewer than five business days prior to the first day of the training session. No credit will be issued for cancellations received on or after the first day of the training session. With a credit, you may elect to attend another training session within a six-month time period. If there is an increased fee at the time of the future training, or the credit on file is insufficient to cover the training fee, the increased cost must be paid. If the credit is not utilized within the six-month timeframe, all credits will be forfeited. 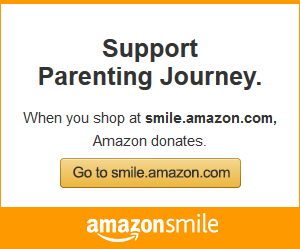 You may also utilize your credit to purchase Parenting Journey Program materials. The Starter Kits are available in two formats and price is dependent on the option you choose.